I'm going, If anyone interested in a signed copy - just reply and I will try to get you one. Shouldn't be a problem. Ill take one If you don't mind. I'll take one. Thanks Shac. If not too late, I'll go for one too. Thanks Shac. Let us know how it went. Looks like I'll have to get there a bit early next week. I arrived around 3:00 and I believe 200-300 People were in front of me in line (first person in line got there by 10:00 am...). The Signing scheduled to 4:30 but started at 4:00. They allowed total of 5 books per person (new and old). I bought 10 and spread 5 with people around me. Line went pretty quick (considering each person had 3-5 books) and I entered the signing room after 1.5 hours. Security check before entering the hall. Need to leave the bags at the front desk and keep phones inside the pocket. No photos allowed. There was a big curtain that covered 1/3 of the hall. 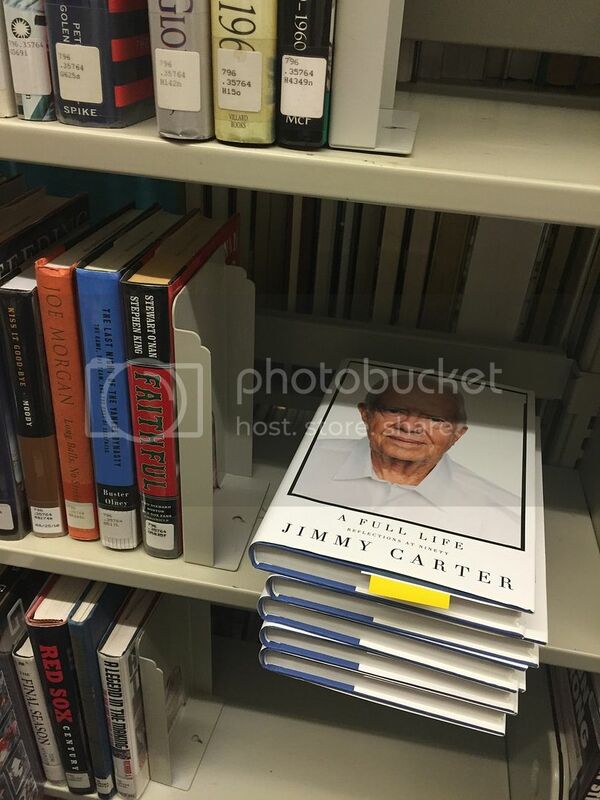 Carter was sitting behind it surrounded by security. You handled the opened books to the the store rep and she put them on the table in front of him to sign. 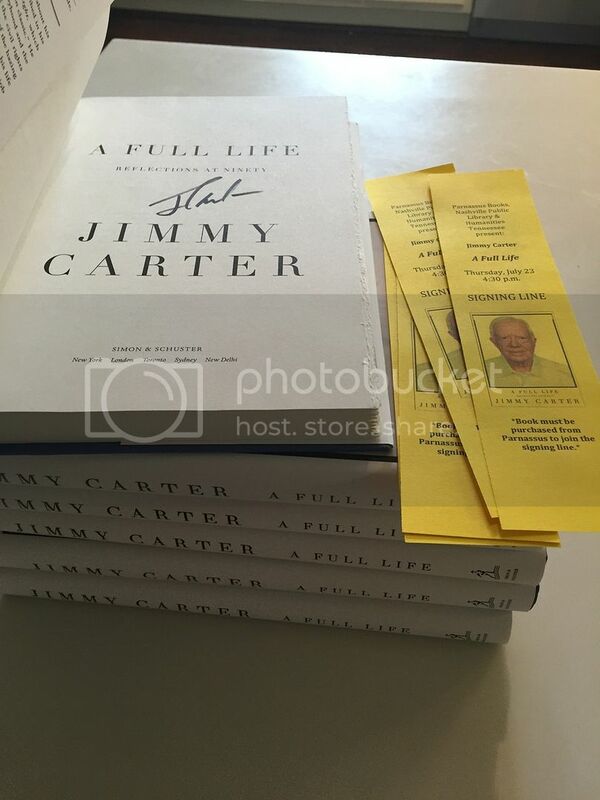 I was at a Carter signing years ago and he was a machine. He put King to shame for how fast the line moved. I guess he hasn't slowed down at 90. It's remarkable he is still making the rounds. Congrats on the books.